Titanium specifications define properties of pure titanium and titanium alloys. Owing to the allotropic behavior of titanium which allows diverse changes in its microstructures, a broad range of properties and applications can be served with a relatively limited number of titanium alloy grades. Many titanium alloys are produced to meet specifications established by the American Society for Testing and Materials (ASTM), aerospace titanium specifications (SAE-AMS), military specifications for titanium alloys (MIL-T), and titanium specifications developed by the American Society of Mechanical Engineers (ASME). Diverse US systems of titanium specifications are harmonized through the Unified Numbering System (UNS), which assigns metals and alloys a lettered prefix and a five-digit number. Titanium and titanium alloys belong to the UNS R5 category and have designations such as UNS R50400. 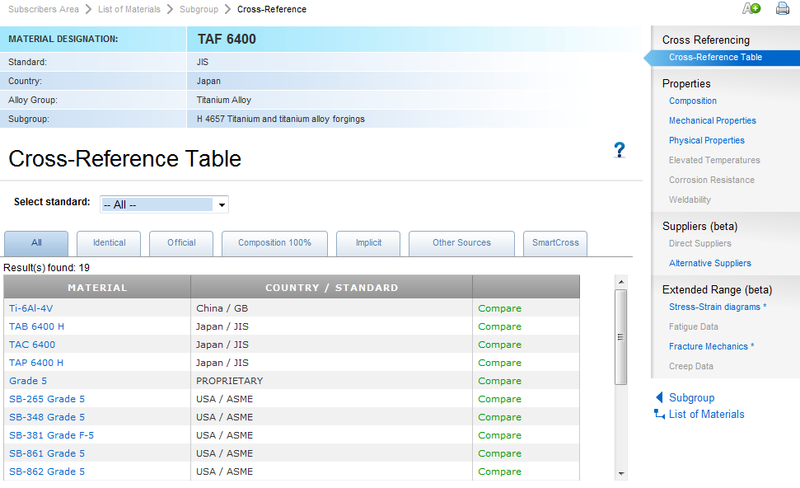 Important international titanium specifications include ISO, Euronorm, Russian GOST, and Japanese JIS. Although there is an overlap between standard specifications for titanium, they are not interchangeable. The Japanese Titanium Society, in its efforts to achieve a more global approach, has made representations of unified systems of titanium specifications. The primary challenge with titanium specifications is not a lack of standard specifications defined by standards development organizations (SDOs), but the addition of detailed, individual titanium specifications developed by the aerospace companies which have relatively limited production runs. Each aerospace company has its own specifications for titanium alloys which require specific, proprietary process routes. Consequently, there are many titanium specifications circulating that are only relevant (and understood by) a select group of participants. In other words, many titanium specs are not standardized. The Total Materia database includes property specifications for more than 4 500 titanium alloys along with another 350 000 metal alloys from all over the world. 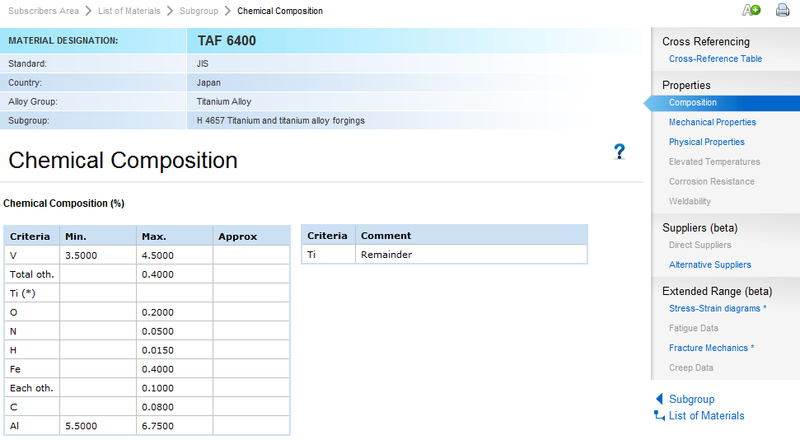 Their chemical compositions, mechanical and physical properties, cross-references and more are only a click away.